Each year approximately 40 to 50 pupils join us at 13+, usually from preparatory schools. There are two routes for admission at 13+: Deferred Entry (for pupils in Year 6) and Standard Entry (for pupils in Year 8). Deferred or Standard Entry 13 + routes are available for both day and weekly boarding places. The only exception to this is if a candidate is applying from overseas in which case they should follow the Boarding: International Admissions procedure. Parents sometimes wish to have the security of knowing in advance where their son or daughter will proceed to senior school. They can then enjoy the important last few years at their Preparatory School with a known path to their next school. This is the principal reason why Caterham offers the option of applying for Deferred Entry at 13+. Applicants wishing to secure a 13+ Deferred Entry place should apply by early November in Year 6 (dates for 2022 will be published shortly). 13+ Deferred Entry candidates will then sit the ISEB Common PreTest in the latter part of the Autumn Term of Year 6 at their Preparatory School where their current School’s teachers will supervise the test. The results are sent directly to Caterham School. In the Spring Term (of Year 6) candidates are welcomed to Caterham School for an Assessment Day. During the day prospective pupils will be interviewed by a member of our teaching staff since we believe that academic assessment alone is insufficient to establish whether your child will flourish at our School. 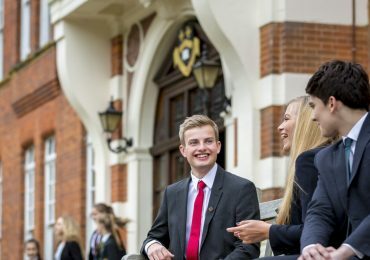 Deferred Entry candidates are offered conditional places for entry to Caterham School at age 13 on the basis of their interview, their performance in the Entrance Exams and a report from the Headteacher of their current school. They are also offered on the condition that the pupil continues to make satisfactory progress at their Prep School for the duration of Years 6, 7 and 8. 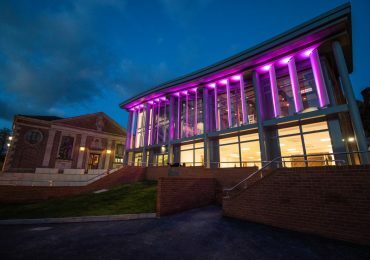 Parents accepting the offer of a conditional place are asked to pay a deposit of £1,000, which is refunded when their child leaves Caterham School. The deposit is refundable only if their child is advised by his or her Preparatory School Head to withdraw in the expectation that he or she will not reach the required standard for entry to Caterham School. In the November of Year 8, 13+ Deferred Entry candidates will be asked to sit the Standard 13+ entry test at Caterham School. This allows the School to assess their eligibility for an academic scholarship and does not affect their secured place at Caterham School. Co-curricular scholarships and bursaries may also be applied for and bursaries may also be applied for at this point. Successful candidates secure their offer of a 13+ place in Year 6, complete Year 7 and 8 at their preparatory school and then join Caterham at the start of Year 9. If a candidate applies via the Deferred Entry route, but is unsuccessful in securing an offer then they may apply again when they are in Year 8 via the 13+ Standard Entry route. 13+ Dates for September 2022 Entry (Deferred Entry) will be published shortly. To make a 13+ Deferred Entry applications, please click here. Parents often decide, with their Preparatory School Head, that it is in their child’s interest to wait until Year 8 before sitting Caterham School’s Entrance Exam. This is the principal reason why we also offer the option of applying for Standard Entry at 13+. The procedure for Standard Entry at 13+ and dates for entry in September 2020 are outlined below. Pupils wishing to join Caterham School must submit their application by early October of Year 8 (see dates listed below). Prospective pupils sit the examinations and are interviewed in November, prior to the year of entry. Interviews enable us to get to know each child as an individual. 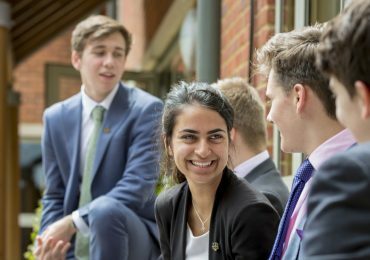 Interviews and examinations take place at Caterham School giving candidates the chance to meet some of our teachers and pupils during their visit. The 13+ entrance examination consists of English, Mathematics, Verbal Reasoning and Non-Verbal Reasoning. All papers are designed to bring out the skills and potential of the candidates, whatever they may have covered in the past. A reference is also requested from the candidate’s current school. Common Entrance results at 13+ entry are used for setting purposes. To make a 13+ standard day application please click here. Late applications may be considered after the closing date but will be subject to an increased application fee of £200.